Magazine Publishers Of Australia Relaunch As ‘Magazine Networks’. The all authoritative Magazine Publishers of Australia (MPA) has today announced a total relaunch under the new name of ‘Magazine Networks’. 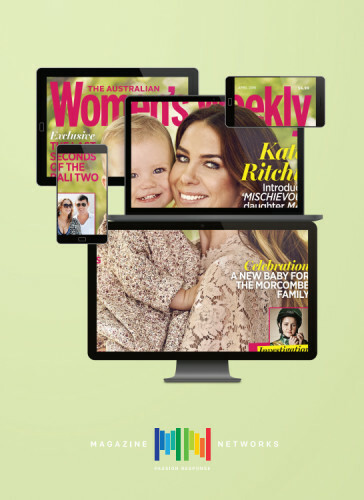 The magazine publisher’s industry body, whose members include Bauer Media, NewsLifeMedia and Pacific Magazines, is kicking off a new trade campaign to spruik its changes, complete with the refreshed tagline of ‘passion, response’ and a newly designed website. The rebrand was inspired by a recent study commissioned by research agency Fiftyfive5, which delved into reader perceptions of print and online magazines, surveying their levels of engagement, influence and response to purchase across key market categories. Suggesting that there is a unique place for magazines of both print and digital form, Magazine Networks chairman and Pacific Magazines CEO Peter Zavecz said, “The rebrand signifies how magazines are truly multi-platform brands, with a network of engaged audiences across platforms. The trade campaign, which was created by Creative Agency JOY, will start on June 20 with a heavy focus on digital and will continue until March 2017. JOY principal Simon Rush added, “The positioning of Passion Response is intended to express the unique role Magazine Networks play in creating a variety of responses, from interest generation to brand building and sales activation. Magazine Networks executive director Mary Ann Azer also commented on the rebrand, adding, “Magazines have a clear role to play in igniting brand response, directing brand response and activating it. And for more magazine insights, read B&T’s authoritative look at the state of the Australian magazine industry in the next issue out this week….